State-owned energy holding company Pertamina lowered the prices of its subsidized and non-subsidized gasoline by up to Rp 800 (6 US cents) per liter on Sunday, a move some consider political ahead of the presidential election in April. Although proposals to lower or increase fuel prices are made by Pertamina or other fuel distributors, they require the approval of the Energy and Mineral Resources Ministry before taking effect. 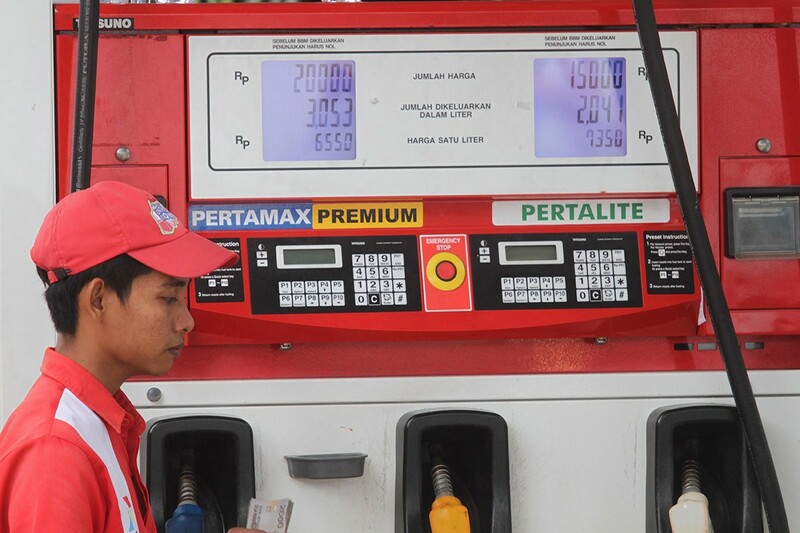 Pertamina lowered the price of subsidized gasoline Premium, which is sold under the public service obligation (PSO) scheme, to Rp 6,450 per liter on Java, Madura and Bali islands from the previous price of Rp 6.550. As for its non-subsidized brands, the new price for Pertamax Turbo (RON 98) in Greater Jakarta is Rp 11,200 per liter, Pertamax (RON 92) Rp 9,850 per liter, while Pertalite gasoline (RON 90) remains at Rp 7,650 per liter. Meanwhile, prices for non-subsidized diesel fuel are Rp 11,700 per liter for Dex and Rp 10,200 per liter for Dexlite. Pertamina retail marketing director Mas'ud Khamid said the price adjustments were made following a drop in the global crude oil price and the strengthening of the rupiah against the US dollar. "We will continue to periodically evaluate the fuel prices," he said, adding that the fuel prices could differ in each region. The price adjustment came following the slump in global oil prices after they climbed to above $80 per barrel in early October last year. The price of fuel is a sensitive issue in the country as fluctuations in fuel prices could significantly affect the prices of other commodities because of the associated costs of transportation. It could also lead to high inflation, something President Joko “Jokowi” Widodo wishes to avoid as he seeks reelection in April. In October 2018, Energy and Mineral Resources Minister Ignasius Jonan announced the government's plan to increase the price of Premium gasoline by 7 percent following the global oil price hike, sparking protests among many Indonesians who rely on the gasoline brand, as it is the cheapest fuel in the country. The government abruptly dropped the fuel price hike hours later, with State-Owned Enterprises Minister Rini Soemarno stating she and Pertamina had not been informed of the plan, and that the company was not ready to implement it. Policies on fuel prices have remained an indicator by which the public rates an administration's performance, according to Saiful Mujani Research and Consulting (SMRC) president director Djayadi Hanan. This factor led incumbents, including President Jokowi, to resort to populist policies to improve their images and woo voters ahead of elections. "There is nothing wrong with such policies as long as they are based on rational and objective reasons. Making such policies is one of the incumbent's advantages," he told The Jakarta Poston Sunday. Djayadi said former president Susilo Bambang Yudhoyono had also resorted to such policies ahead of the 2009 presidential election. An incumbent at the time, Yudhoyono was faced with rising global oil prices and high inflation domestically. However, social policies such as lowering fuel prices in 2008 and 2009 and the direct cash assistance scheme (BLT) helped Yudhoyono gather 60.8 percent of the vote and secure a second term, Djayadi said. "The policy will at least give Jokowi a positive image and consolidate his support among his base and swing voters," he said, also mentioning Jokowi's other populist policies, such as the distribution of land certificates and village funds. Fabby Tumiwa, executive director of local energy watchdog Institute for Essential Services Reform (IESR) argued that although the move could have been political, it was bound to happen considering the drop in global oil prices. "The decrease in the prices is small and reflects the downward trend of global oil prices in the past three months. The ICP [Indonesia Crude Price], for example, has hit around US$50 per barrel lately," he said, adding that private gasoline distributors such as Shell had also lowered their prices. Energy and Mineral Resources Ministry Oil and Gas Director General Djoko Siswanto denied claims the decision was politically motivated. He said the fuel price adjustments were the result of the slump in global oil prices. The government has tightened its control of fuel prices by requiring gasoline distribution companies to follow certain formulas in the setting of prices of non-subsidized gasoline. The companies were then required to report their price adjustments to the ministry, Djoko said. 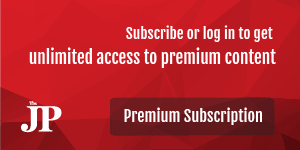 "Fuel prices might have varied following the global oil price drop. So we think it's important to analyze the data we have collected from the companies to create an evaluation system," Djoko said during a press briefing at the ministry's office in Jakarta on Sunday.